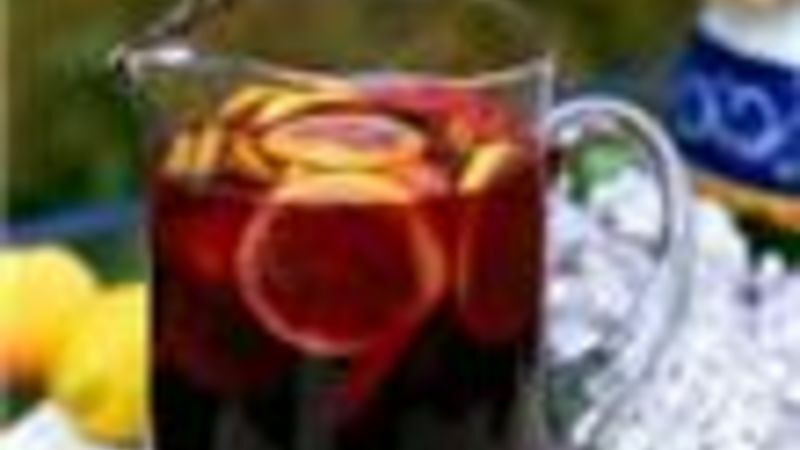 Stir together wine, brandy, orange juice concentrate, lemonade concentrate, fruit punch concentrate, and grape juice concentrate in 5 gallon insulated beverage container or cooler. Add sliced lemons and oranges. Refrigerate overnight and serve chilled.